The hongi is the Mãori welcome expressed by the rubbing or touching of noses, something akin to the Western custom of kissing someone by way of greeting; however, the hongi is a gesture that carries far more significance. 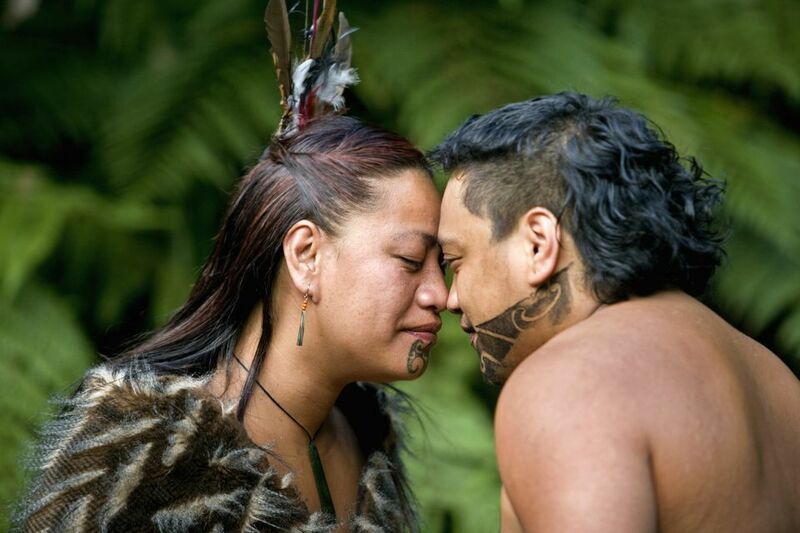 The hongi is a New Zealand tradition that stems from an age-old Mãori legend that depicted how women were created. According to legend, woman’s shape was molded from the earth by the gods, yet it had no life until the God Tãne breathed into the molded figure’s nostrils and embraced the gorgeous figure. After breathing into her nostrils the female sneezed and came to life. The female figure was then given the name Hineahuone, roughly translated to "earth-made woman." The tradition resonating behind the hongi dates back to the Mãori origins of the country and is a quintessential aspect of New Zealand's culture. If you're visiting New Zealand and are approached to participate in this sacred and noble gesture, you should always accept on account of the inherent meaning that comes with it. Should the hongi be performed with you as a visitor, this signifies that you are no longer a mere visitor—you are a tangata whenua, which essentially means that you are to be unified with those performing the hongi with you. The meaning of hongi roughly translates to the "sharing of breath," which is a fairly significant gesture. Once a visitor, also referred to as a manuhiri, enacts the hongi with a local, a sense of responsibility is also imparted to that individual about their place in the delicate ecosystem of the island. To display your newfound sense of responsibility, you as a newly appointed tangata whenua may be required to partake in some tasks illustrating your loyalty and appreciation for the land itself. In older times, this would have included such tasks as bearing arms in order to defend your people and tending to crops, but now a newly appointed tangata whenua is still required to share in personal responsibilities like leaving no trace on the island and respecting its natural beauty. The hongi, or the "sharing of breath," is a sacred and revered act that is typically displayed in a very distinctive manner: A physical exchange where two people press their noses against one another's. By having friends greet each other within such an intimate space, the hongi represents an action that is more powerful than a mere handshake. By greeting one another at such a close distance, the participants both exchange breath, sharing in the very essence of living with one another. If you’re lucky enough to partake in the sacred act of sharing the breath, remember that the hongi one that actively resonates with Mãori locals and results in you having an experience that is far elevated from that which a mere tourist or visitor may have. By partaking in the hongi, not only are you being officially welcomed by the Mãori people, but you are also taking on a great responsibility.